We all know about Steve Jobs and the company that he created. I’ve never been a fan of the company that he created and in fact, till date, the only Apple Product that I use is iTunes which is free; nevertheless, I’ve been an admirer of Steve Jobs, for the enterprise that he has created – considering its origin, his ouster and the marvellous turnaround and I always wanted to know more regarding the same and hence, this book was an obvious choice. The good thing about this biography is that I believe it is fairly accurate, considering it is Jobs himself who has asked Isaacson to take up this project and the latter claims to have come up with this book after a hundred interviews with Jobs, his family and friends. But then, before I chose to read this book, my respect for Steve Jobs was quite high but then, as I started reading this, it was crumbling apart – he was a highly arrogant, self-opinionated who did not accept anything other than his point of view (someone with whom I’d certainly not like to work with). Another problem that I found was that he had this nature to keep everything under his control and that attempt often leads to a lot of problems (this attitude of his could be seen in his products too – where Apple does everything – hardware, software, OS, and everything else). In a way, I felt, Steve Jobs’ story could’ve very well been a case study in management schools on how not to be if not for his success. However, as I read on, especially after his ouster from Apple, I began to regain the respect, considering his tenacity to stay on the top and creating a successful enterprise in a considerably different field (animated films) not that his personality ever underwent a change despite all that he has been through. The eventual turnaround he achieved with Apple was also well narrated but then, in the last part of the book, my admiration was falling apart yet again, considering him hitting out at competitors for plagiarism, considering he himself believes that great artists steal thereby indulging in such blatant hypocrisy (regarding Google’s Android and Microsoft in general). In a way, you could say that the respect I had for Steve Jobs moved like a cosine graph as I was reading this book. Coming to the book as such, as aforementioned, I believe this would be the most credible biography on Steve Jobs ever, and I believe Isaacson has done a good job in presenting the same, in terms of language and also structure – where it was fairly chronological rather than moving backwards and forth. But then, I felt it was too long a description of events that occasionally puts you off, especially, in cases where you know what was going to happen (regarding Steve Jobs’ ouster or Apple taking over NeXT). Moreover, I found some of the facts to be repetitive during the course of the book, being Jobs not believing in the idea of products being customisable or the fact of Jobs being a perfectionist. 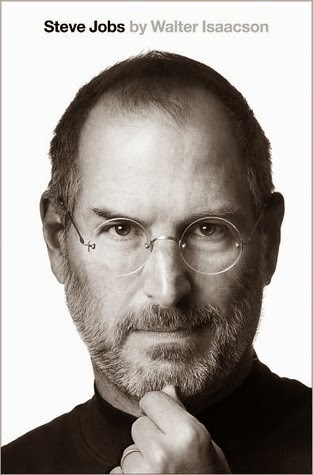 I guess that is all I’ve got to say about this book – it is a very good book for all those Apple fans, Steve Jobs admirers or even for those interested in reading on influential people. I choose to not comment on Jobs’ personal life for that is not why I admire him and also, it is not my concern in anyway and as a result, I don’t comment on the personal aspects of the book. I’d conclude saying that this is a good read, just too long (and I’m not a fan of Apple but Jobs and I’m not sure of that either, now). I’d say that it is a good book to read and hence, award a rating of six on ten. I’d start with a brief summary of the plot before moving into the review – it is narrated by Saleem Sinai who was born when the clock struck twelve, marking India’s independence from the British Empire. Saleem is narrating his story to Padma – his companion and caretaker under the fear that his death is near and starts narrating the story from the time of his grandfather, Aadam Aziz’s young days back in Kashmir. 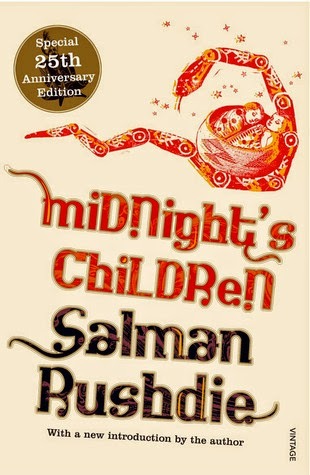 Saleem has telepathic powers and in fact all children born during the first hour of 15th August, 1947 have supernatural powers, and Saleem with his abilities, is able to connect to all such children leading to the Midnight’s Children’s Conference – which gives the book its title, Midnight’s Children. This is not just the story of Saleem but also of the nation that was born along with him and their individual ups and downs mirror each other during the course of the story. I’ve been an admirer of Sir Salman Rushdie for a very long time and I’ve enjoyed reading his articles, listening to his speeches, often dumbstruck by his ingenious use of the language and also, he stands for the idea that I very strongly believe in – that is, speech and expression is a freedom that can’t be compromised under any circumstances. I quote him too often, including the header of this blog but then, I had not read any novel of his and it was then that I had decided that it is time I pick a book of his and Midnight’s Children turned out to be an inevitable choice, considering it is one of his most critically acclaimed works. However, when I got into the book, I was continually wondering whether I made the right choice for, at the outset, I felt the prologue was too long and it was beginning to test my patience. However, there is Padma, with the reader for company, who isn’t much different from us and cuts Saleem short whenever he is digressing too much. If digression was a crime, then perhaps Saleem should be imprisoned for life. 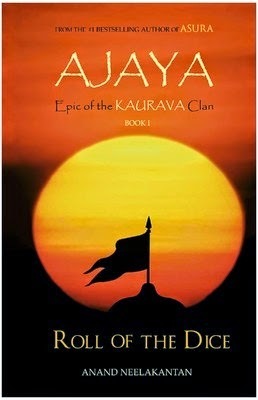 However, as I moved on, I got used to it and I started enjoying the way the story was developing (one suggestion to the reader – please read the first book as Aadam Aziz’s story), the way in which he was developing every character – it was enjoyable to read Aadam’s musings which were way ahead of the time in which he lived in, whose ideas are vehemently opposed by his wife Naseem, later referred to as Reverend Mother by Saleem. The story when it moved to its next phase – of Ahmed Sinai and his wife, when they had just moved to Bombay months before Saleem’s birth and India’s independence – and for me personally, the setting in Bombay was the icing in the cake, thoroughly enjoyable to read the description of the city in the 40s and the early 50s. My favourite aspect of the novel however was the authors extremely clever use of allusions, linking most of Saleem’s events with that of what was happening to India at that point in time – be it the 1965 war, the Bangladesh war or the emergency (where he made his antipathy towards the Gandhis very visible – a stance which would please a substantial majority of the present day Indians). Moreover, I felt a lot of work has gone into the research on the two nations political history – those who are familiar with it can easily connect to it and recall your history and those who don’t, it is a very interesting for I’m pretty sure many are parts of history that are unknown to most. The uncertainty of the novel was another very good part of it – to what extent was Saleem making it up for there is nobody to verify his account in the present day and Padma (who, in my opinion is the personification of the reader) has not met any of the other Midnight’s Children and hence for all you know, this whole account could entirely be Saleem’s own imagination. However, despite my praise for the author’s allusions and the subtle digs, I wonder to what extent it could be appreciated by a person who isn’t very familiar with India and Pakistan’s political and cultural history. Moreover, while I also appreciated the deep research of the author, there were some factual errors that could have been avoided – Ramayan wasn’t dictated to Ganesha and as per the myth, it was the Mahabharat (the irony being, Saleem goes on to praise himself for his knowledge using a similar parenthetical comment such as this one) and also, Annadurai was not the founder of the party ADMK but you never know whether these were factual errors committed by Salman or Saleem. Last, all said and done, this book was long, and in some cases unnecessarily long and some of the parts of it was extremely boring, especially the stage of Saleem’s adolescence – that was where the story seemed too petty and yes, I found the excessive use of nicknames irritating, at times (Reverend Mother, Brass Monkey, Eyeslice, Hairoil, etc.). I’d conclude my review saying that this is a novel that’d test your patience, but it is worth undertaking the test and coming through it. It took me nearly three months to read this book but I feel it is three months very well spent. 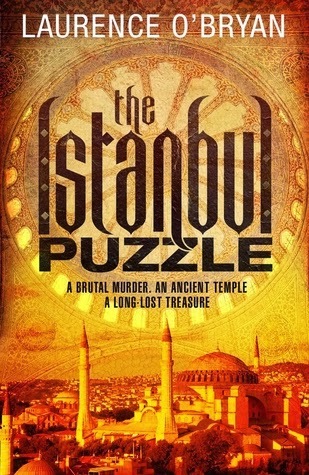 It was a book with an excellent story, with the characters, language of the author and the narration of Saleem outdoing the excellence of the story. It is an excellent read for anyone provided you’ve that one ability – perseverance. I thoroughly enjoyed reading this book in these three months and I’d give it an 8 on a scale of ten (somewhere between 7.7 – 7.9 to be precise). ‘Long before they famously debated each other during the 1960 presidential campaign, John F. Kennedy and Richard M. Nixon debated the merits of the new Taft-Hartley labor law in McKeesport, Pennsylvania, in April 1947. But their minds were clearly on bigger things. As fate would have it, Kennedy and Nixon shared a Pullman compartment on a famous train called The Capitol Limited, the pride of the B&O Line, for an overnight trip back to Washington. They stayed awake all night talking about their lives, hopes, and visions for a better world. 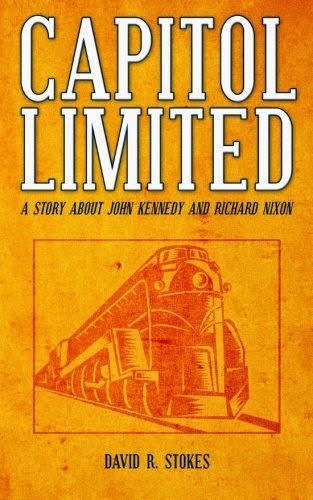 Capitol Limited is based on a very true story. Bestselling Author David R. Stokes imagines how the conversation might have unfolded that long-ago night. Based on extensive research, and complete with a lengthy and unusual-for-a-novel biography, Capitol Limited gives readers the change to eavesdrop as two men have an animated conversation about history, world leaders, and the brewing geopolitical issues they would one day face as leaders of the free world. Capitol Limited is a book written by the American political commentator, broadcaster and columnist, David R. Stokes. It features the two newly elected members to the US House of Representatives post the Second World War, Richard M. Nixon and John F. Kennedy. The story begins with the news of Kennedy’s assassination and Nixon recollecting his past experiences with Kennedy. It goes back to 1947, when the two newly elected Congressmen had to visit the Pennsylvanian mining town, McKeesport for a debate on the Taft-Hartley Labour Bill. While the debate was hardly the highlight of the novel, it was the return journey of the two, back to Washington, from McKeesport, where they have a conversation over nearly every contemporary issue, personal, what is best for the country, the incidents around the world, Israel, the rise of communism in Eastern Europe, et cetera. I was really keen on reading this novel since historical fiction is my favourite genre and I’m highly passionate about politics. Moreover, my knowledge on the political environment of The United States till 1990 is rather superficial especially on Richard Nixon, on whom I had known nothing about barring Watergate and him being the only American president to have resigned and despite that, I’ve been told by some of my American friends that he is the best President that they’ve ever been under; and hence, I thought this could be an excellent read. True to my expectations, I had an extremely well written and well-presented novel with adequate actual historical references (marked in bold and italics, during the course of the novel). What I really liked about this novel was how he the author brought out as to how Nixon and Kennedy are different in every way barring the fact that they had both served in the navy but are still such close friends. Nixon and Kennedy had come from totally different backgrounds, while Kennedy was from a well to do family whereas Nixon had to struggle to come up the ranks and despite this, both of them represented political ideologies contradictory to their background which was brought out well during the debate at McKeesport. I also really loved the way in which the author had brought out the personality of both the future presidents, with Nixon being the shrewd dedicated politician who thoroughly researches on something before making any statement whereas Kennedy is more of a politician by accident relying more on his innate abilities as a journalist but living the dream of his deceased brother. The friendship between the two of them was something really good, considering how it is nearly unimaginable today, especially when the rivals run such bitter campaigns, particularly the 2012 election between Obama and Romney. The only thing that I found on the flipside was that, I found Kennedy to be someone too weak who was just trying to be a shadow of all the other world leaders he had met so far (like Churchill, where Kennedy was continually referring to Churchill’s mannerism to justify his own, including for eating a boiled egg!) whereas I believe the reality is far from it. Probably, I got under this notion because during the course of the novel, I agreed more with Nixon than Kennedy, owing to my personal capitalist views. 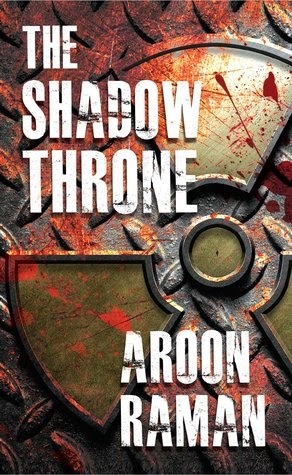 I’d conclude saying that this was an excellent retelling of a historical event clubbed with an excellent imagination and could be enjoyed by anyone who is interested in politics and considering the aforementioned points, I’d award this book a seven on ten. ‘In wartime Copenhagen, the world is suddenly a scary place for ten-year-old Annemarie. There are food shortages and curfews, and soldiers on every corner in the city. 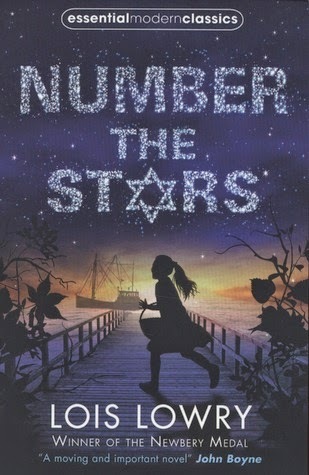 Number the Stars is a Newbery Medal winning novel written by the American writer, Lois Lowry. It is based in Copenhagen during the Second World War, featuring the ten year old Annemarie Johansen and her Jewish friend Ellen Rosen. This happens after Denmark falls into Nazi control and Copenhagen is stationed with German troops all over. Like any other day, Annemarie was walking back from school along with her sister Kirsti and friend Ellen and as always, they were racing back home, only to be stopped by two German soldiers and being strongly reprimanded. Eventually Annemarie is informed by her parents that Jewish shops are being closed and the Germans are planning to arrest all the Jews in Denmark and Ellen would have to stay with the Johansens. The story’s main theme is to move the Rosens and other Jews to Sweden till the war is over. There are a few things I liked about this book; to start with, its simplicity (I’ve never read a simpler holocaust novel) and how you can actually read the whole book in hardly three hours. Another equally good aspect of the book is that of Annemarie’s character – determined and smart, especially when she pulls the Star of David necklace off Ellen so that the Nazis fail in identifying Ellen as a Jew. Her determination was also seen when she had put her life on the line to deliver the package to her Uncle Henrik on time so that he could ferry the Jews over to Sweden. Another aspect I liked about this book was how the author was able to convince the reader that there are occasions when it is better to be ignorant (something continually told to Annemarie by her Uncle Henrik). The problem for me was, when I chose this book, I didn’t know that Lois Lowry is someone who is into children’s literature. Moreover, I got it at a throwaway price of 29 INR (roughly around 30 pence) since a bookstore that was closing in my locality was offering discounts and I thought it might be worth a try. I was carried away by the write-up behind the cover and expected a wonderful holocaust novel along with an excellent Scandinavian touch but then, this was too childish and a way too straightforward to an extent where the simplicity was a drawback. Also, there was no other noteworthy character barring Annemarie and her deceased sister’s fiancé, Peter Neilsen. I also felt that the author could have researched Denmark better – while I’m no connoisseur when it comes to knowledge on Denmark, I’m pretty sure that the name is spelt ‘Nielsen’ in Danish and also that cupcakes were popular in America for a long time but spread to the rest of the world only after the second world war (just to confirm this point, I found that it was introduced in Denmark in 1990) and Annemarie longing for cupcakes that they once had seemed to be rather inappropriate. On the whole, I’d conclude saying that this is a below mediocre holocaust novel and you can read this if you wish to have a light read with a happy ending. I’d give this book a rating of 4/10. 17th May, 2014, this day, that is, marks the third anniversary of this blog. Over these three years, a lot of things have happened, both for me personally and for this blog. For starters, when I started, I was still in school and yes, looking back at my initial reviews, that fact would seem more than evident. This blog started solely because of a grave personal failure of mine, that being, writing my own work of fiction. While, the term ‘writing’ alone might seem misleading considering I’d have written close to 1,000 the seven year life of that ambition, but the misfortune being, the 1,000 pages were accumulated over 30 different plots; with me rejecting each one of them after the very first self-review and ultimately, none of them were completed. Yet another constraint to this ambition of mine was that reading was hardly a hobby of mine, and I had always preferred to create my own rather than read someone else’s. Unfortunately, it took me too long to realise that my writing isn’t good enough – considering how my expectations were so high and I was never able to meet them. Just then, I had come across a blog of my friend, who wrote anime reviews and that is when, there was a thought that came by, a move by which, I could save my writing habit, and at the same time, come closer to making my ambition of becoming an author closer to a goal than a dream. That is when I decided to take a sabbatical from crafting works of fiction on my own and start reading works of other authors and get an idea on how to go about the job and after reading a book (after all, taking idea from a source is plagiarism, but if the same is done over several sources, it is deemed to be creativity in this world), I’d write a review on the same, thereby retaining my habit of writing something on my own (not as creative, but a reasonable alternative). So, finally my blog, http://vata312.blogspot.com (I beseech you, please don’t ask me for the expansion of vata or the significance of 312) going by the name ‘The Viscount’s Reviews’ (as I said, I was still in school when I opened this up and just before opening this blog, I had read about Horatio Nelson, and the fascination about led me to give myself the self-proclaimed title). The first review up was on Ian Rankin’s Knots &Crosses – the first book in the Inspector John Rebus series. From then on, then on, fortunately, the blog has only seen a rise. Understandably so, my initial reviews were too rigid and drab and I still guess have a lot of scope to improve, despite being in this for three years. What came as a pleasant surprise to me was in October 2012, nearly one and a half years after I had started off, when I received a direct request from an author for a review. This was pleasant, considering how, when I had started off, I never knew such perks existed on this job. I’d like to thank all the twenty odd authors (whose names I’m not at a liberty to disclose to prevent my otherwise unquestionable objectivity come under scrutiny) who’ve had their faith in me and I wish to have all your continued support. I guess I’d also have to thank them for the patience they’ve had in me, considering that my reading is extremely slow, for a fact that it was never my natural hobby but something that I’m carrying out with a vested interest. Instead of looking things at retrospect, I’d rather introspect into what could be done in with the blog. Fortunately, before too long, I had renamed by blog Astute (inspired by Sir Humphrey Appleby from Yes Minister, who continually uses the word in a rather… astute manner) and followed by a quote from an author whom I strongly admire and deeply respect. My primary concern, at the moment is the design of the blog which I believe could be presented in a much better manner, which could immediately grab the attention of the reader. The list of reviews for instance, is an extremely user unfriendly list for the reader to manoeuvre through for the review that they wish to read. Anybody who can help me on this, please contact me and I promise, I shall repay you with loads of gratitude (*winks*). I also plan to expand the base of books in order to turn it into a genuine book reviewing blog. 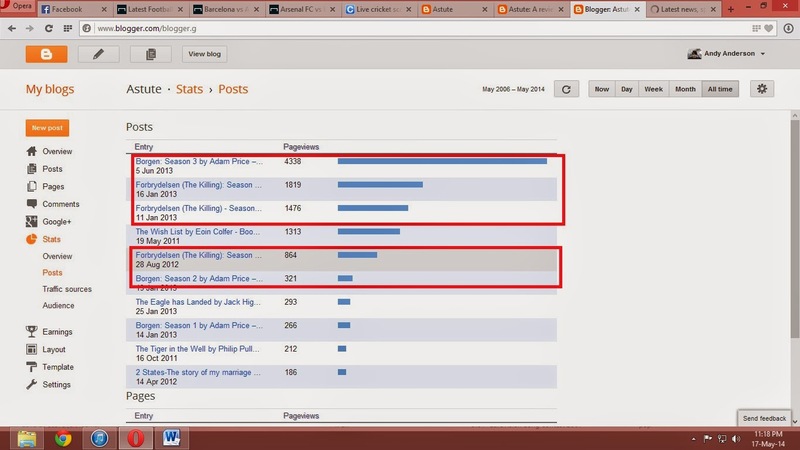 As of now, although I’ve a considerable readership, most of them seem to be for my non-core Scandinavian drama series (as seen below in the screenshot I’ve attached). The only way I see for this is to improve my quality of reviews, presentation, and perhaps, also get a good spin doctor (*winks again*). 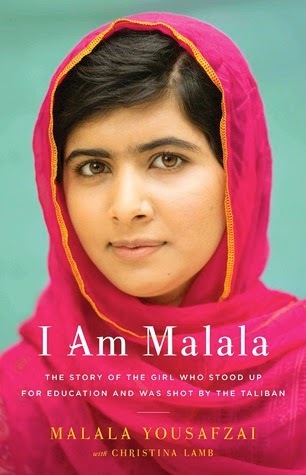 While I certainly feel that this blog has come a long way from my first review, Knots& Crosses till I am Malala, with the difference being more than evident, I still thrive to make my next set of reviews to be of a much higher standard than what I’ve done in the first three years. Ultimately, I’ve to return to my primary goal sooner than later and I hope I hang on to this tomfoolery for a maximum of another 18 months and get back to writing (I do have a reasonable idea for a historical fiction in place) and let me see how that goes. Thanks to all the friends (whom I’ve asked on countless occasions to review my reviews), authors and of course the readers and I'd hope for all your continued support. With this, I end my write-up on the completion of three years, and counting, for a long time to come.